Vancouver is a city on the north bank of the Columbia River in the U.S. Kick off your visit on the 4th (Sat): steep yourself in history at Fort Vancouver National Historic Site, then steep yourself in history at Vancouver National Historic Reserve, then get engrossed in the history at Clark County Historical Museum, and finally steep yourself in history at George C. Marshall House. For photos, traveler tips, ratings, and more tourist information, use the Vancouver day trip planning site . Mumbai, India to Vancouver is an approximately 26-hour flight. You'll gain 13 hours traveling from Mumbai to Vancouver due to the time zone difference. Expect much colder temperatures when traveling from Mumbai in May; daily highs in Vancouver reach 24°C and lows reach 11°C. Finish your sightseeing early on the 4th (Sat) to allow enough time to drive to Seattle. On the 5th (Sun), meet the residents at Seattle Aquarium, then take in panoramic vistas at Space Needle, then admire the masterpieces at Chihuly Garden and Glass, and finally get a taste of the local shopping with Pike Place Market. To see ratings, other places to visit, reviews, and other tourist information, use the Seattle travel route planner. Traveling by car from Vancouver to Seattle takes 3 hours. Alternatively, you can take a train; or take a bus. In May, daily temperatures in Seattle can reach 23°C, while at night they dip to 13°C. Finish your sightseeing early on the 5th (Sun) so you can travel to San Francisco. Start off your visit on the 6th (Mon): step off the mainland to explore Alcatraz Island, take in the pleasant sights at Fisherman's Wharf, then browse the exhibits of SS Jeremiah O'Brien, and finally take in the views from Golden Gate Bridge. For where to stay, ratings, and more tourist information, go to the San Francisco trip itinerary site . Traveling by flight from Seattle to San Francisco takes 4.5 hours. Alternatively, you can do a combination of flight and train; or drive. In May, daytime highs in San Francisco are 24°C, while nighttime lows are 13°C. Finish your sightseeing early on the 6th (Mon) to allow enough time to travel to Los Angeles. 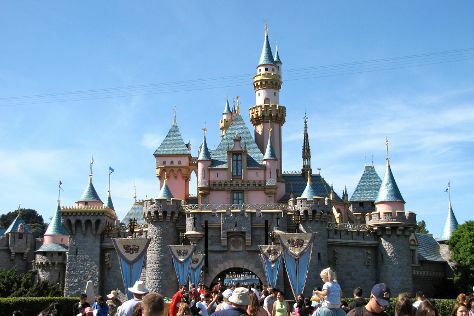 Step out of Los Angeles to go to Anaheim and see Disneyland Park, which is approximately 30 minutes away. Pack the 8th (Wed) with family-friendly diversions at Universal Studios Hollywood. And it doesn't end there: examine the collection at The Getty Center, explore the different monuments and memorials at Hollywood Forever Cemetery, see the sky in a new way at Griffith Observatory, and take in the waterfront at Santa Monica Pier. To see ratings, photos, traveler tips, and other tourist information, read our Los Angeles trip site . You can fly from San Francisco to Los Angeles in 4 hours. Other options are to do a combination of train and flight; or drive. Prepare for somewhat warmer weather when traveling from San Francisco in May: high temperatures in Los Angeles hover around 28°C and lows are around 17°C. Cap off your sightseeing on the 9th (Thu) early enough to go by car to San Diego. Start off your visit on the 10th (Fri): pause for some photo ops at Cabrillo National Monument and then tour the pleasant surroundings at San Diego Zoo. For ratings, more things to do, other places to visit, and tourist information, go to the San Diego trip site . You can drive from Los Angeles to San Diego in 2.5 hours. Alternatively, you can take a bus; or fly. May in San Diego sees daily highs of 25°C and lows of 19°C at night. Wrap up your sightseeing on the 10th (Fri) to allow time to travel to Las Vegas. Kick off your visit on the 11th (Sat): shop like a local with The Strip, then admire the local landmark of Bellagio Fountains, then take in nature's colorful creations at Bellagio Conservatory & Botanical Gardens, and finally try your luck at Bellagio Hotel and Casino. For other places to visit, ratings, traveler tips, and other tourist information, you can read our Las Vegas online trip maker . Traveling by flight from San Diego to Las Vegas takes 3.5 hours. Alternatively, you can drive; or take a bus. While traveling from San Diego, expect somewhat warmer days and about the same nights in Las Vegas, ranging from highs of 36°C to lows of 20°C. Finish up your sightseeing early on the 11th (Sat) so you can travel to Toronto. Toronto is a city in Woodson County, Kansas, United States, along the Verdigris River. On the 12th (Sun), immerse yourself in nature at Cross Timbers State Park. To find reviews, other places to visit, traveler tips, and tourist information, read our Toronto trip itinerary builder website . Use the Route module to find suitable travel options from Las Vegas to Toronto. The time zone difference when traveling from Las Vegas to Toronto is 2 hours. Expect little chillier temperatures when traveling from Las Vegas in May; daily highs in Toronto reach 29°C and lows reach 15°C. Wrap up your sightseeing by early afternoon on the 12th (Sun) to allow time for travel to Chicago. Start off your visit on the 13th (Mon): get curious at Museum of Science and Industry, explore the world behind art at The Art Institute of Chicago, then pause for some photo ops at Cloud Gate, and finally don't miss a visit to Millennium Park. To find other places to visit, maps, and tourist information, read our Chicago trip itinerary maker tool . The Route module can help you plan travel from Toronto to Chicago. While traveling from Toronto, expect slightly colder days and about the same nights in Chicago, ranging from highs of 25°C to lows of 13°C. Cap off your sightseeing on the 13th (Mon) early enough to travel to Niagara Falls. Start off your visit on the 14th (Tue): take in the dramatic scenery at Niagara Falls, then explore the fascinating underground world of Cave of the Winds, and then trek along Niagara Gorge Trail. For more things to do, traveler tips, maps, and other tourist information, use the Niagara Falls trip planner . You can do a combination of flight and bus from Chicago to Niagara Falls in 5 hours. Alternatively, you can do a combination of flight and train; or drive. Due to the time zone difference, you'll lose 1 hour traveling from Chicago to Niagara Falls. Expect a daytime high around 24°C in May, and nighttime lows around 11°C. Finish up your sightseeing early on the 14th (Tue) so you can travel to New York City. New York City is known for museums, nightlife, shopping, historic sites, and parks. Your plan includes some of its best attractions: take in the pleasant sights at Central Park, take a stroll through Times Square, appreciate the history behind 9/11 Memorial, and take in panoramic vistas at Top of the Rock. Inspirock's itinerary builder makes planning a New York City trip simple and quick. Getting from Niagara Falls to New York City by combination of bus and flight takes about 5.5 hours. Other options: do a combination of bus and flight; or drive. Traveling from Niagara Falls in May, plan for somewhat warmer nights in New York City, with lows around 15°C. Wrap up your sightseeing on the 17th (Fri) early enough to travel back home.